9th Gen Intel Core i9-9900K is the World's best processor for gaming. 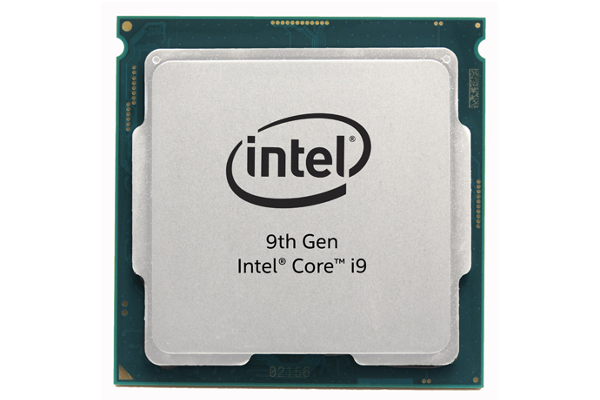 Intel today announced the 9th Gen Intel Core i9-9900K, the world's best gaming processor. New processors introduced today include the first 9th Gen Intel Core processors (i5-9600K, i7-9700K and i9-9900K), new Intel Core X-series processors and the Intel Xeon W-3175X processor. The 9th Gen Intel Core i9-9900K is the world's best processor for gaming. It brings an exceptional level of performance to the desktop product line, signified by the first Intel Core i9 brand in the mainstream desktop segment. All three of the 9th Gen Intel Core processors unveiled today (i5-9600K, i7-9700K and i9-9900K) enable fast, immersive experience for gamers, with up to 8 cores and 16 threads, up to 5.0 GHz single-core turbo frequency, and 16 MB Intel Smart Cache. + Enabling more than 220 FPS on three of the most popular global PC game titles. + With Intel Turbo Boost Technology 2.0 delivering up to 5.0 GHz single-core frequency, gamers can enjoy their favorite games with up to 10 percent more FPS across popular gaming titles compared with the previous generation, as well as up to 37 percent more FPS compared with a 3-year-old PC. + Capture game play, transcode and stream while playing. With this type of megatasking, gamers can enjoy up to 11 percent more FPS compared with the previous generation and up to 41 percent more FPS compared with a 3-year-old PC. + Overclock these new processors with the Intel Extreme Tuning Utility (Intel XTU), a precision tool for advanced overclocking, and take advantage of the additional thermal headroom with solder thermal interface material (STIM). To realize the full potential of the new 9th Gen Intel Core processor, Intel is introducing the new Intel Z390 chipset. The Intel Z390 chipset includes high-speed integrated USB 3.1 Gen 2 and integrated Intel Wireless-AC with support for Gigabit Wi-Fi speed. The 9th Gen Intel Core processors are also compatible with all Intel 300 Series chipset motherboards for more consumer options. Intel also announced seven (i7-9800X, i9-9820X, i9-9900X, i9-9920X, i9-9940X, i9-9960X and i9-9980XE) new Intel Core X-series processors with a variety of core counts and I/O capabilities, as well as details on the Intel Xeon W-3175X processor. Both products are built on the Intel Mesh Architecture, which increases memory and I/O bandwidth, while decreasing latency - a critical need for the demanding workloads of creators and experts. With Intel Turbo Boost Max Technology 3.0 delivering up to 4.5 GHz single-core frequency, the most critical workloads can be directed to the processor's two fastest cores, optimizing for lightly threaded performance when necessary. This means users do not have to make a tradeoff between choosing a processor for lightly threaded or heavily threaded workloads. For the select, highly threaded and computing-intensive applications such as architectural and industrial design and professional content creation, Intel will deliver the unlocked Intel Xeon W-3175X processor. This new 28-core Intel Xeon processor was built with real-world performance in mind for these large, intensive workloads with up to 4.3 GHz single-core turbo frequency, 56 threads and unlocked for those who want to push performance even higher. This platform also provides 38.5 MB Intel Smart Cache, 6-channel DDR4 memory support with up to 512 GB at 2666 MHz, and ECC and standard RAS support.